As part of our 2014 recap, CoinDesk conducted a broad survey of the crypto 2.0 ecosystem to determine how the sector’s emerging influencers believe it will evolve in 2015. 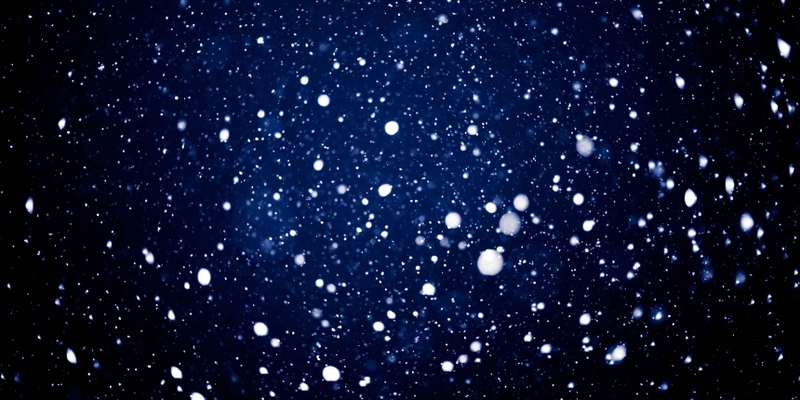 Overall, the community perhaps most concerned with building on the potential of bitcoin’s pioneering protocol expressed a bullish sentiment, voicing its opinion that 2015 will bring increased attention as its most-anticipated projects hit the market. The survey also asked respondents to name specific projects that they believe will have a significant impact on the crypto 2.0 ecosystem over the next year. The result provided an in-depth view of the emerging players that could come to shape the crypto 2.0 community’s efforts in 2015, while providing insight into the philosophical questions that are now being debated by the wider bitcoin industry. One of the core products of pioneering crypto 2.0 company BitShares, BitAssets allows users to peg a real-world asset (BitUSD and BitCNY are already trading) to the BitShares blockchain. BitAsset owners then earn money on trading fees, while allowing traders to hedge against bitcoin’s fluctuations, a development proponents argue could stability to the wider market. BlockSign leverages the recent addition of metadata to the bitcoin protocol to verify users have uploaded and signed a document. The live service aims to help enable the bitcoin network to become an attractive repository for more types of information, including legal documents that can then be enforced by smart contracts. Currently in beta, Codius is a smart contracts protocol built by decentralized payment network provider Ripple Labs. While one of a few projects aimed at bringing smart contracts to market, proponents of the project argue that the platform could prove to be the scalable solution smart contracts need. Emerging in 2014 as the arguable market leader of the crypto 2.0 movement, Counterparty saw an increasing number of 2.0 products and services leverage its protocol, forged a partnership with Overstock and traded barbs with rival Ethereum. The project just celebrated its first birthday with a blog post in which its founders also speculated on what it has planned for the year ahead. “We have even bigger plans for 2015: hiring new developers, releasing the desktop wallet, launching smart contracts on mainnet, electing the official board of directors, working with exchanges to support XCP, working with other business who want to build their products on Counterparty and much more,” the post reads. Outrage over actions by the Bitcoin Foundation reached a fever pitch this summer, inspiring self-described “bitcoin millionaire” Olivier Janssens to issue a $100,000 bounty to whoever could create a decentralized alternative to the trade organization. While developer Mike Hearn’s Lighthouse project took the top prize, Eris came in second for a proposed platform that seeks to enable decentralised autonomous organisations (DAOs), including those that could be used for decision-making in bitcoin, to better govern themselves. According to Eris, one of its chief goals is to “design and build DAOs in such a way that they abide in full compliance with legal and regulatory obligations”. 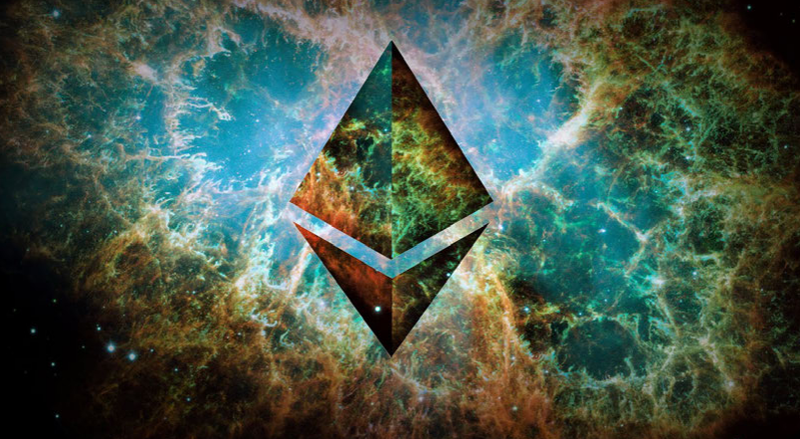 By far the most widely cited project by the crypto 2.0 community, Ethereum has emerged as a market leader due to its roughly $15m in funding, even though it isn’t expected to launch until this spring. Indeed, 2015 will be the year the smart contracts platform and its dedicated blockchain will be introduced to the market, where it will need to answer questions about its security and demand. Should Ethereum prove itself to be a success as a viable alternative blockchain to the bitcoin protocol, other ambitious developers could be emboldened to strike out on their own, a development that could in turn impact bitcoin’s long-term value. Another sometimes divisive unlaunched project, Factom is one of a few notable projects seeking to build a data layer on top of bitcoin that could help businesses better manage everything from title records to legal apps. With its white paper introduced in November, the project is expected to move forward with development in 2015. Backed by big names such as Winklevoss Capital and Y Combinator, Filecoin seeks to create a data storage network on the bitcoin network. While relatively quiet about its support and goals in 2014, Filecoin inventor Juan Batiz-Benet recently told CoinDesk he expects to make big announcements in early 2015. Decentralised social messenger Gems became one of the most buzzed-about bitcoin startups of 2014, raising more than $500,000 in its ongoing crowdsale. In 2015, Gems will seek to deliver to those who backed the project by buying its native token, introducing a wallet and token system in March, an Android app in June and an advertising platform in September as it seeks to introduce new users to bitcoin. 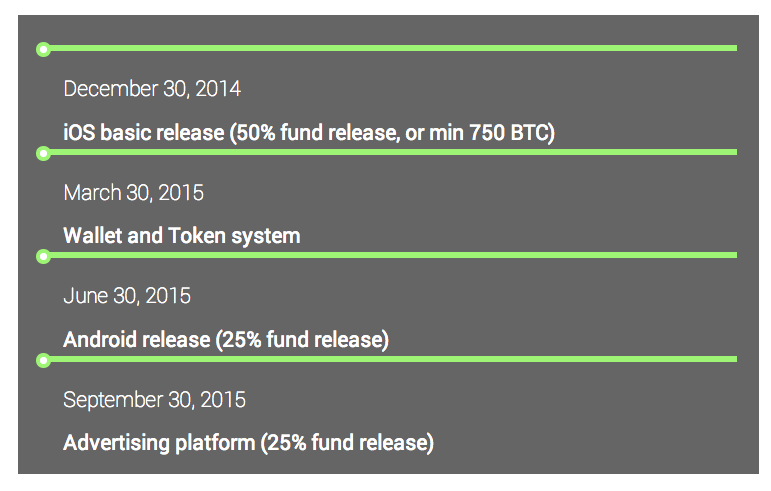 Backed by $1m in venture capital, Koinify is perhaps the most notable attempt by the crypto 2.0 ecosystem to create a decentralised alternative to Kickstarter. With its first crowdsale for the decentralised messaging service Gems underway, and going smoothly, the platform will look to onboard more projects in 2015 while proving that the so-called cryptoequity movement can produce consumer-friendly products. While still only a proposal, the Pebble project seeks to build its own decentralised cryptocurrency that can support “millions of transactions a second” through a new security model it dubs “proof of processing”. “Pebble will power a range of applications currently not practical with conventional cryptocurrencies,” the project boasts in its online overview. Fresh off its controversial crowdsale in early 2014, MaidSafe is busy putting the $7m it received from the crypto community to work building its decentralised platform for decentralised applications. When asked what the biggest hurdle would be for MaidSafe in 2015, COO Nick Lambert indicated bolstering its development team with qualified engineers was top of mind. Bitcoin’s most vocal merchant, Overstock, and its CEO Patrick Byrne were everywhere in 2014, evangelizing for the benefits bitcoin can offer in online payments. Looking ahead to 2015, many respondents were optimistic its ambitious Medici project, helmed by two leading Counterparty developers, would launch its decentralised stock market. Although, as others involved suggest, it remains unclear just how quickly the project will be able to advance on its aims. What are Reddit Notes exactly? Well, that answer is still top secret for now. What we do know is that fresh off its $50m fundraising round, the popular social network plans to to give back to its users with the help of cryptocurrency. Whatever the result, the community believes it’s sure to provide increased attention to the bitcoin space, while exposing new users to the technology. 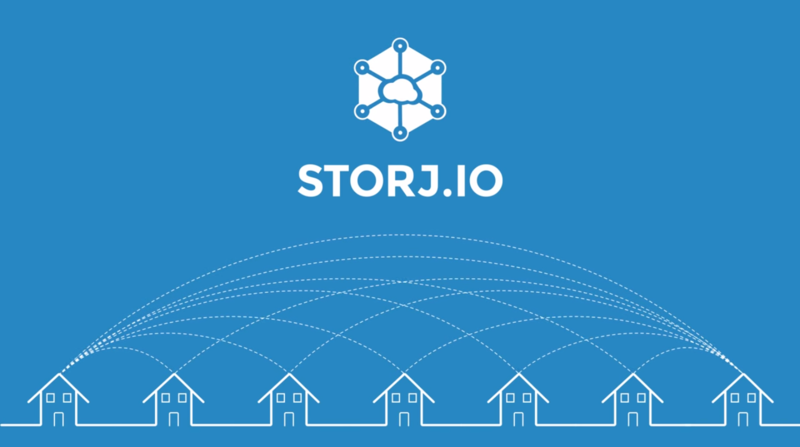 Cloud storage project Storj raised 910 BTC in 2014 to build a way for businesses and consumers to store and distribute data. In 2015, it is aiming to launch its first pieces of software, which will help it fix the “broken” centralised cloud storage model that has lead to data breaches and high costs. “We expect to grow at a steady rate while we scale up our network and more users and businesses will adopt our technology,” a spokesperson said. Though sometimes criticised for its model for decentralised crowdfunding, Swarm took great strides in 2014, overseeing the successful backing of a popular bitcoin comic and launching its first crowdsales. In the coming months, CEO Joel Dietz told CoinDesk Swarm will seek to clarify the legal environment for itself, and by extension, the ecosystem, while doubling its number of employees from seven to 15. Released in November, the Tendermint white paper proposes an alternative way for cryptocurrencies to secure their networks without relying on the distributed computing power of mining networks. Perhaps even more interestingly, Tendermint has suggested it could create the much-anticipated dual-currency ledger theorized by Robert Sams as it moves forward. While still in early stages, Tezos seeks to implement a protocol that is capable of amending itself through a distributed voting procedure. The Tezos protocol will attempt to offer complete Turing smart contracts and a pure proof-of-stake system. Another still-theoretical project, Truthcoin aims to create a “trustless oracle” that will leverage data stored by a blockchain to inform prediction markets, a step it boasts would allow it to offer superior versions to market leaders such as Counterparty and Ethereum.